Hackensack Meridian Health and Carrier Clinic have signed a letter of intent to form a partnership, a play that would bolster the combined entity's behavioral health operations, the organizations announced Thursday. The New Jersey-based not-for-profit providers aim to leverage Carrier's behavioral health expertise and infrastructure to create a streamlined model of 24-hour access to mental health and addiction care ranging from outpatient, urgent and residential to inpatient settings. Hackensack and Carrier are still exploring how the partnership would be structured, whether it would be a full merger, some sort of joint operating venture or something else, said Robert Garrett, Co-CEO of Hackensack Meridian Health. The due diligence process is expected to take about three to four months. So many people access the healthcare system through the emergency department, which is not necessarily the best place, he said. 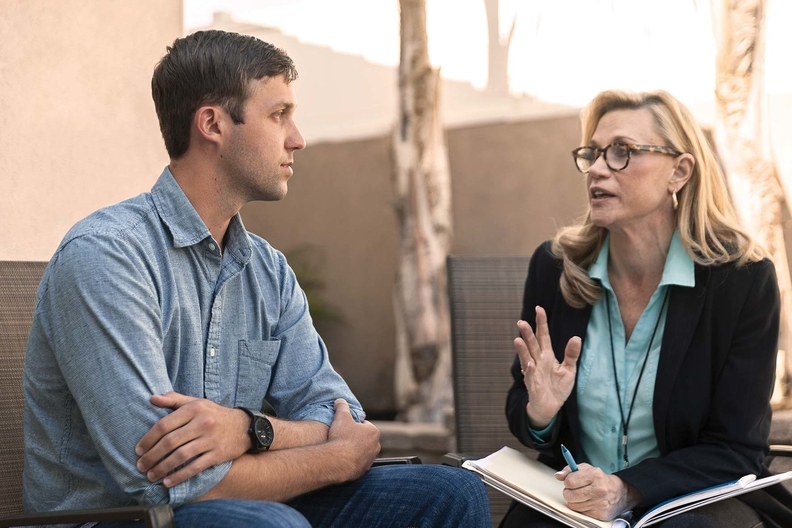 "There is no doubt in healthcare that behavioral health has been fragmented, some even call it broken," Garrett told Modern Healthcare in an interview. "We want to make sure we are a leader in this space." Many systems are looking to establish an all-in-one regional presence that better integrates behavioral health services, which has been a particularly fragmented sector of the industry, exacerbated by issues like the opioid epidemic. Behavioral health also offers an attractive reimbursement model, experts said. Half of the increase in emergency room visits in New Jersey in 2016 were related to patient's behavioral health issues, Hackensack Meridian said in a news release. A record high 2,200 New Jersey residents died from opioid addiction in 2016, a 40% increase from the year prior. Edison, N.J.-based Hackensack, which has 16 hospitals, will add two new psychiatry residency programs in July, and the system plans to add a child psychiatry fellowship program in 2020. Prior to the partnership announcement, Hackensack and Carrier were exploring the development of an addiction treatment center, services that many New Jersey residents have to travel out of state for, Garrett said. Hackensack and Carrier also proposed to manage a county hospital in Bergen County. Carrier Clinic's home in Belle Mead, N.J., provides short-term, acute care hospitalization for psychiatric illness and substance abuse for adolescents and adults. The provider's 1,000 employees work throughout its 281-bed hospital; the Blake Recovery Center, a licensed 40-bed inpatient and outpatient detox and recovery facility; East Mountain Youth Lodge, which can house up to 91 adolescents; and East Mountain School, a fully-accredited school for 120 middle and high-school students affected by behavioral and psychiatric disorders. Carrier Clinic also has an electroconvulsive therapy program, which is used to treat severe major depression or bipolar disorder after other treatments are ineffective. The merger fits in well with the Seton Hall-Hackensack Meridian School of Medicine, slated to launch this year, as well as Hackensack's recent acquisition of JFK Health, which has a neuroscience program and rehabilitation services, Garrett said. Hackensack's partnership with the Memorial Sloan Kettering Cancer Center would also benefit because many cancer patients have a secondary behavioral-health related diagnosis, he said. "What attracted me to Hackensack was its strategic movement toward precision and personalized medicine—they are a forerunner in those areas in cancer treatment," said Donald Parker, president and CEO of Carrier Clinic. "We look to apply some of those same principles to behavioral health." Like many other states, New Jersey is home to a rapidly consolidating healthcare market. Executives maintain that additional scale will allow them to lower costs and improve care, while economists warn that healthcare costs are bound to increase as health systems have fewer competitors and can gain leverage in negotiations with payers. The partnership would allow Hackensack to grow its patient base and market share, diversify its revenue stream, and better integrate care, said Ken Marlow, chair of the healthcare department at the law firm Waller Lansden Dortch & Davis. "It is interesting to see acute-care providers looking at services they are currently providing and ways they can add on," he said. "It is also another strong source of revenue generation, especially when you look at the hits that acute-care hospitals are taking." Hackensack Meridian, which was formed after a 2016 merger of Hackensack University Health Network and Meridian Health, has been scaling up along with RWJBarnabas Health. It finalized its merger with JFK Health in January. Hackensack's income from operations dipped to $166.2 million on revenue of $3.24 billion through the first nine months of 2017, down from $184.1 million on revenue of $3.14 billion over the same period the year prior. Expenses grew by 4% driven by hiring additional staff, according to the provider's earnings report. While Cooper University Health Care recently dropped plans to buy three Trinity Health hospitals in Camden and Trenton, RWJBarnabas—the result of 2016 Robert Wood Johnson Health System and Barnabas Health merger—is still pursuing a partnership with Rutgers University. RWJBarnabas signed a letter of intent in July to merge with Rutgers and its health group, which would form New Jersey's largest academic healthcare system including a 2,500-practitioner multispecialty group, executives said. RWJBarnabas Health also partnered with Children's Hospital of Philadelphia in January to build a network of pediatric facilities. Garrett expects to see more deals between health systems and behavioral health providers. "These kinds of partnerships between behavioral health and traditional health networks make so much sense as we move forward," he said. "I think we will see many more of these partnership in the future."